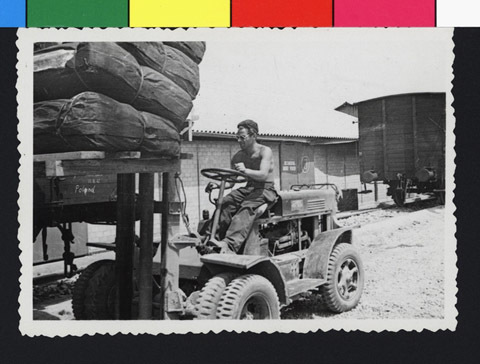 JDC - Archives : A man with a forklift loading medical supplies and equipment in the Miramas depot in Marseille. Title A man with a forklift loading medical supplies and equipment in the Miramas depot in Marseille. Description A man with a forklift loading JDC medical supplies and equipment in the Miramas depot in Marseille, where goods will be sent via the International Red Cross in Geneva.